Building a flat roof can bring considerable advantages for your commercial roof, primarily in providing more interior space. You may also use your flat roof to hold events, or even for parking. These benefits bring some risks, namely in ponding water issues. As the most common problem associated with flat roof damage, ponding is sometimes the result of a domino effect. You may assume rain is the only cause of ponding. While it’s certainly the instigator most of the time, it’s not necessarily the only source. Other issues could occur first, leading to standing water during heavy rainstorms. If you live in an overly rainy climate, you’re already vulnerable to standing water on your roof. Regardless, take some time to find other associated issues. Only a professional roof inspection is going to find out. 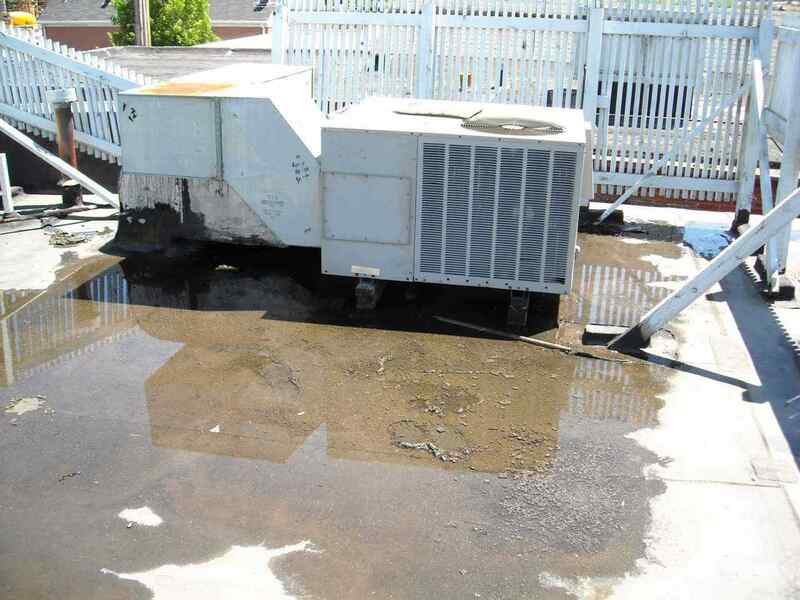 Your cooling system on your flat roof could have a leak in it, hence causing standing water during non-rainy seasons. As you use your A/C to cool your business this summer, you could have a leak in the cooling line or pan. Condensate from your A/C could also occur without you even knowing. 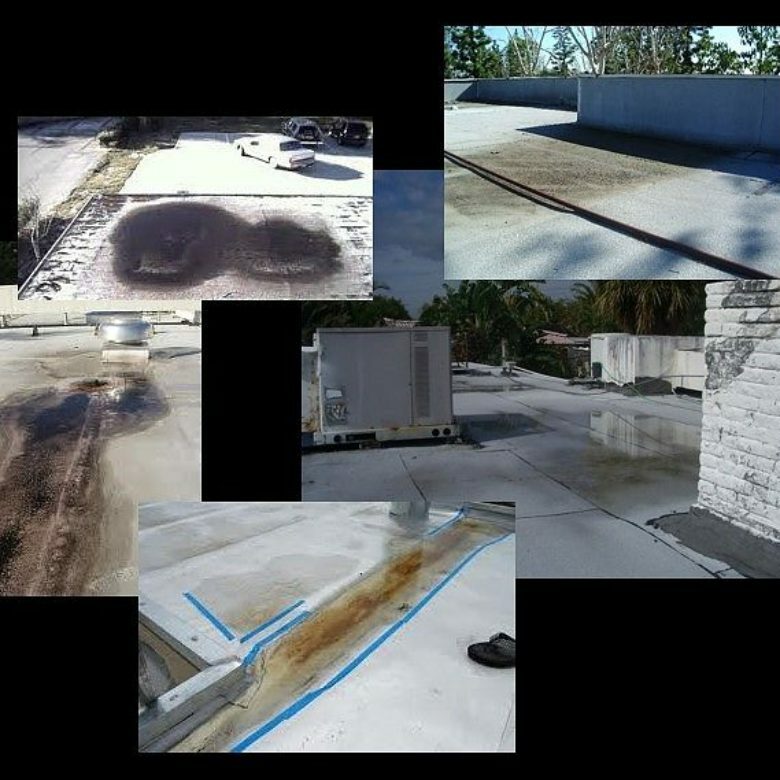 A lot of this occurs if you ignore flat roof inspections for a long time. You may not even think about your flat roof for years if not used for parking or foot traffic. It’s easy to become consumed with other business duties and forget about inspecting things on the roof that could go wrong. Doing a cooling system inspection helps considerably in preventing ponding. However, it’s just the start of what causes this issue. Many older buildings used flat roofing decades ago, and this is perhaps where you house your business. When you bought the building, did you have the roof inspected first? Even if you did inspect, things can develop over time. One major source for ponding comes from building settling. If you have a concrete foundation, settling is a common occurrence over time. 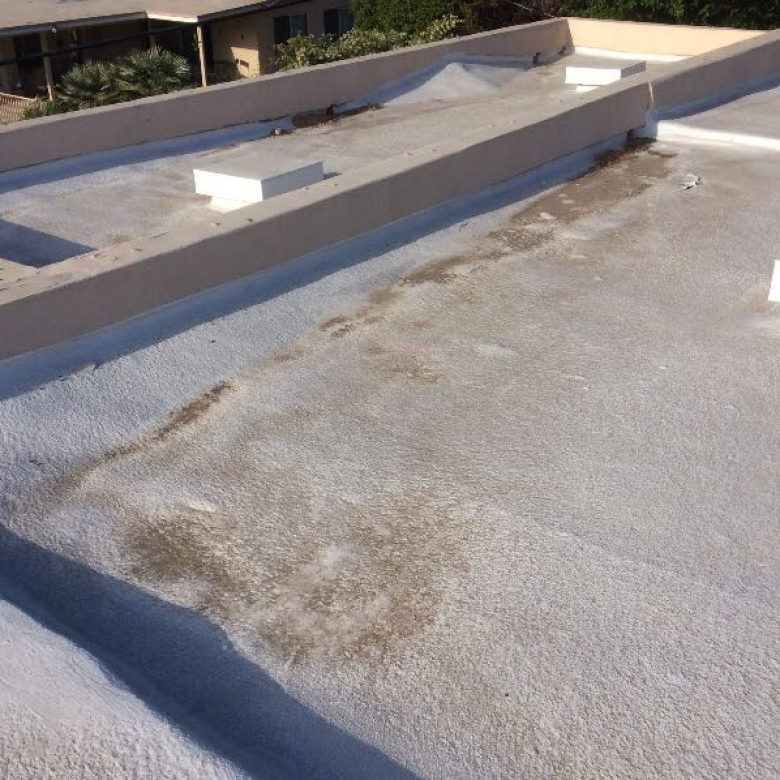 Despite not damaging your building as a whole, it leads to low spots forming on your flat roof. Once a low spot forms, you’re extremely vulnerable to ponding, whether it’s from rain or other liquid source. Here’s a major liability if you decided to open your flat roof to foot traffic: Insulation becoming crushed. After years of holding roof events, all the ongoing traffic wreaks havoc on the insulation enough to create surface indentations. Once this happens, you’ve created a low spot as a catch-all for any water source. Some businesses simply replace their roofing insulation as a cheaper fix. It may not solve the issue completely, especially if you haven’t checked your drainage system lately. Many businesses don’t pay enough attention to their drainage systems with assumption the latter is always working. Perhaps it isn’t, and poor drainage on your flat roof makes it impossible to drain rainwater or other liquids. Ponding frequently occurs due to this issue, and it’s almost always because drains or scuppers didn’t have proper installation. It’s still a fixable issue, outside of causing roof damage in the meantime. 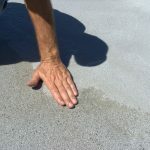 Any fluids sitting on your flat roof for more than two days is going to create fast deterioration and eventual leaks. 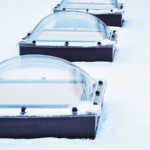 It’s common to place HVAC units on flat roofs, though you might have also installed skylights during construction. Without proper insulation called “crickets” around these, you could create ponding issues around the edges. Applying a specialized coating is a better solution to filling in low spots like this. Pli-Dek has designed a coating that efficiently takes care of low spots for positive slope. Contact us if you’re experiencing any of the issues above for a fast and convenient flat roof fix.